The Consulate General of Sri Lanka participated in a series of trade related activities in the third quarter of the year to promote Sri Lanka and to explore new areas for economic cooperation in South China especially in the context of the proposed Free Trade Agreement between Sri Lanka and China. 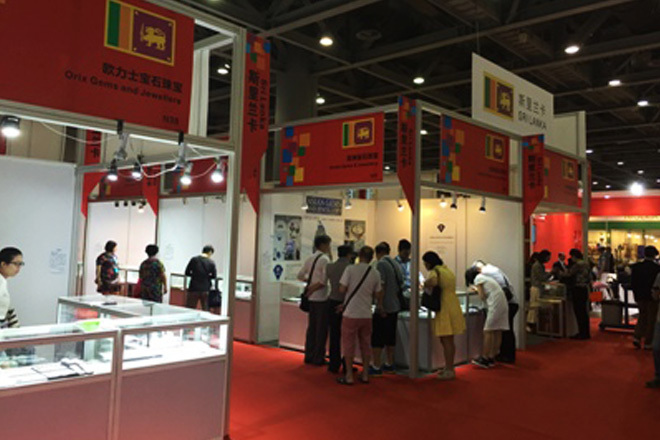 The participation at the China International Small and Medium Enterprises Fair (CISMEF) with the collaboration of the Export Development Board from 10th – 13th October 2016 was an excellent opportunity for the 35 participating Small and Medium enterprises from Sri Lanka to gain immeasurable exposure to the micro, small and medium sized enterprises in Guangzhou. This is the biggest industry specific trade fair for SMEs in South China. The Business to Business networking session for the participating Sri Lankan companies alongside the event also enabled the generation of new business avenues for both the Sri Lankan and Chinese companies who took part in the meetings. The Consulate General also took part at the Guangzhou Tea Expo from 24th – 28th November with the objective of expanding Sri Lanka’s market share of tea in China. The Sri Lanka pavilion comprised tea stakeholders from Ranfer, Tea Talk, Lions Tea and Favor tea. Sri Lanka’s participation in this Trade Fair enabled greater exposure for our pure Ceylon tea which is currently the only Ozone friendly tea in the world. The participating Sri Lankan private sector companies offered a wide range of tea leaves from the seven agro climatic regions, processed teas, tea products and porcelain tea ware to the Chinese and foreign buyers. The Consulate General for the first time also participated in the China Ocean Economy Expo held from 24th – 27th November in Zhanjiang to promote Sri Lanka’s aquaculture industry. Zhanjiang is China’s largest seafood trading centre and processing export base. The Trade Fair attracted 300,000 visitors from mainland China.